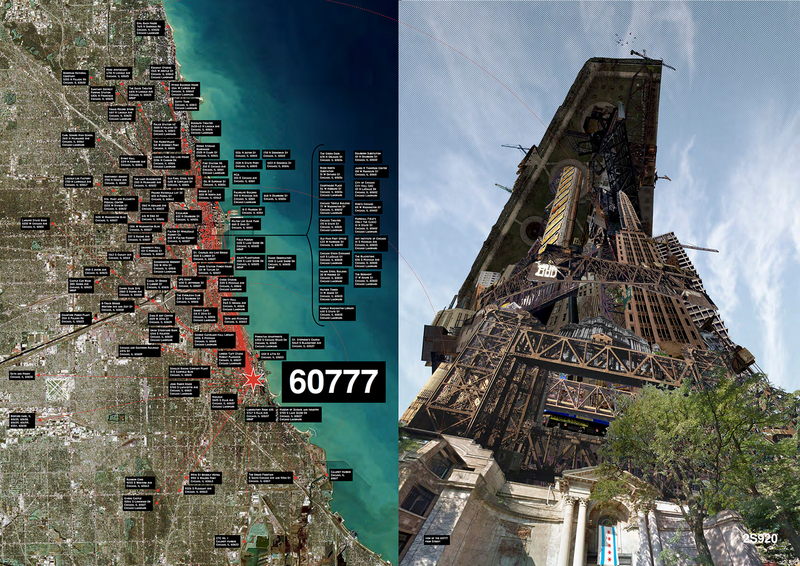 The 60777 is a proposed theoretical refuge for the unloved, threatened or just weird buildings of Chicago. 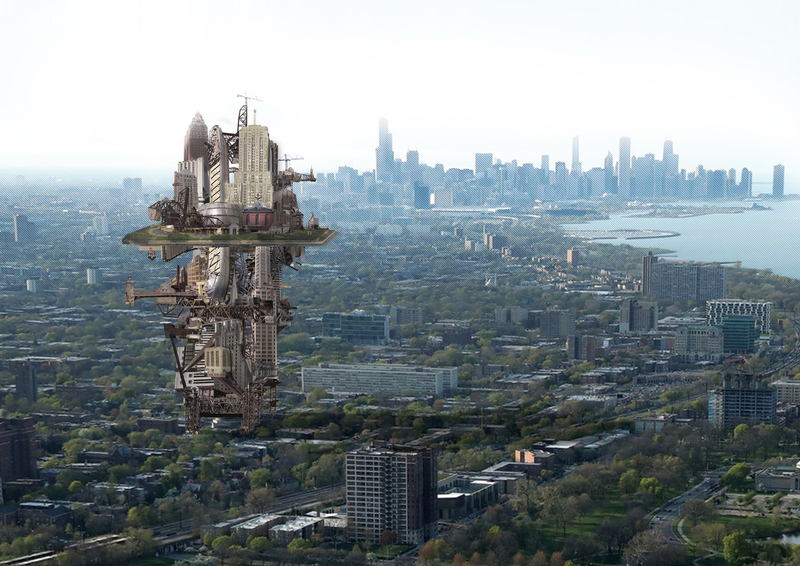 Instead of demolition, these buildings are brought together and physically collaged into a massive tower which grows as a skewed mirror to the city. Starting with St. Stephens in Hyde Park, the architectural refugees are stacked to create an alternative Chicago, with the aim being to collect one iconic building of almost a hundred necessary typologies. Entry to the 2017 Chicago Architectural Club Burnham Prize Competition.